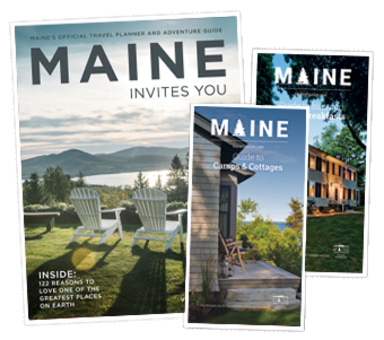 Maine enjoys a healthy, invigorating climate with four distinct seasons. Our good air quality and moderate temperatures make Maine a four-season vacation destination. For Maine weather conditions and forecasts for travel, tourism and recreation visit the website of the National Weather Service Forecast Office in Gray, Maine. Click through to see weather forecasts and learn more about Maine's climate. Maine is divided into three climatological divisions: Coastal, Southern Interior, and Northern Interior. The Coastal Division, which extends for about twenty miles inland along the length of the coast, is tempered by the ocean, resulting in lower summer and higher winter temperatures than are typical of interior zones. The Southern Interior Division extends in a longitudinal belt across the southern portion of the State, and encompasses about 30% of Maine's total area. The Northern Interior Division occupies nearly 60% of the State's area and has a continental climate. The region is furthest from the ocean and contains the highest elevations. Maine has one of the most comfortable statewide summer climates in the country. Peak temperatures normally occurring in July average about 70°F throughout the state. In the Southern Interior Division during a very warm summer, temperatures may reach 90° for as many as 25 days, and in the Coastal Division, two to seven days. Summer nights are usually comfortably cool. Winters are generally cold, but very prolonged cold spells are rare. Northern Interior weather stations may record as many as 40 to 60 days of sub-zero temperatures annually, while coastal stations report 10 to 20 sub-zero days per year. Annual precipitation in Maine averages 40 inches in the Northern Division, about 42 inches in the South and 46 inches in the Coastal Division. Although Maine is rarely subjected to ice storms, hurricanes and tornadoes, 10 to 20 thunderstorms occur annually in the Coastal Division and 15 to 30 elsewhere. Heavy ground fogs often appear in low-lying inland areas, but occur most frequently along the coast, for 25 to 60 days annually. The southern portion has 80 to 120 clear days per year free of fog or other precipitation, with northern regions having somewhat less. The percentage of possible sunshine varies from 50% in Eastport to about 60% in Portland. Average annual snowfall in Maine is 50 to 70 inches in the Coastal Division, 60 to 90 inches in the Southern Interior and 90 to 110 inches in the Northern Interior. The Coastal Division rarely has more than 15 to 20 days annually with snowfall of one inch or more, although a "Nor’easter" occasionally drops ten or more inches of snow in a single day. The Northern Interior may have up to 30 days a year with a minimum of one inch. January is normally the snowiest month, with an average of about 20 inches.